Suggested start : Plaza Nueva / As any urbirun route, you can start whereever you want. Watch for the route direction. 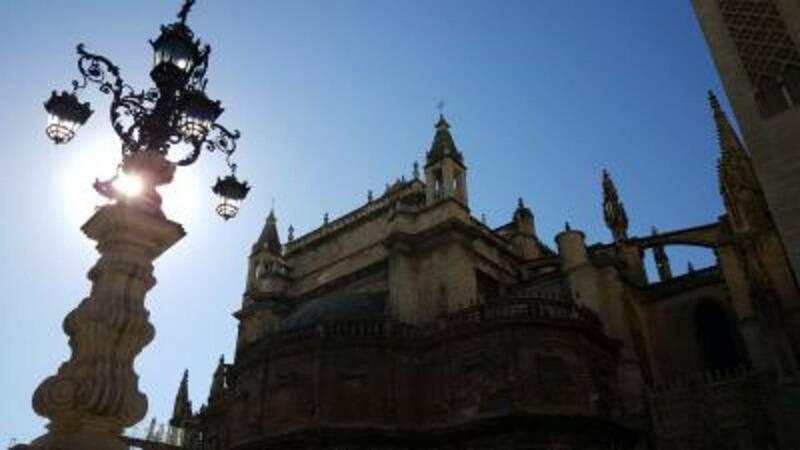 Sevilla is the fourth largest city in Spain. 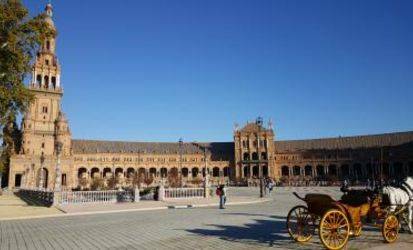 It is a landmark city in Spanish history, and it is where Christian and Muslim cultures have long coexisted. 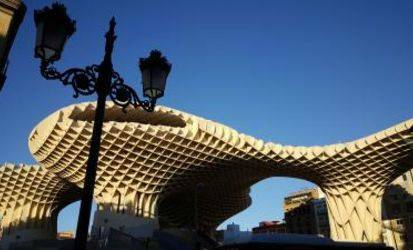 Sevilla offers many architectural jewels, one of Europe's the largest cathedrals, and it has perfectly united its millenary history with the call of modernity. 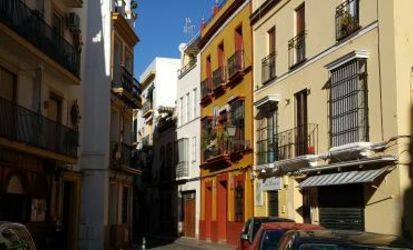 From the cobbled and colored alley of the Old Town, to the parks, and the banks of the Guadalqivir, Sevilla will enchant you. 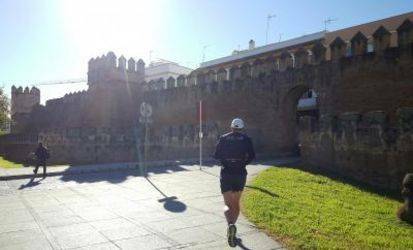 Yesterday with Alexandre, we followed self-audioguided runnging tour made by urbirun, to run and visit all landmarks and points of interests : Macarena district, Guadalquivir river banks, Triana, Plaza de Espana, and the historical center and old town. I love this city. Human sized, with many monuments, colorful facades... all is joyful. 10km run in Sevilla, the city of flamenci and churros, according the the number of churros sellers. Some intervals along the quay, but my lack of training was to big, and it was hard. 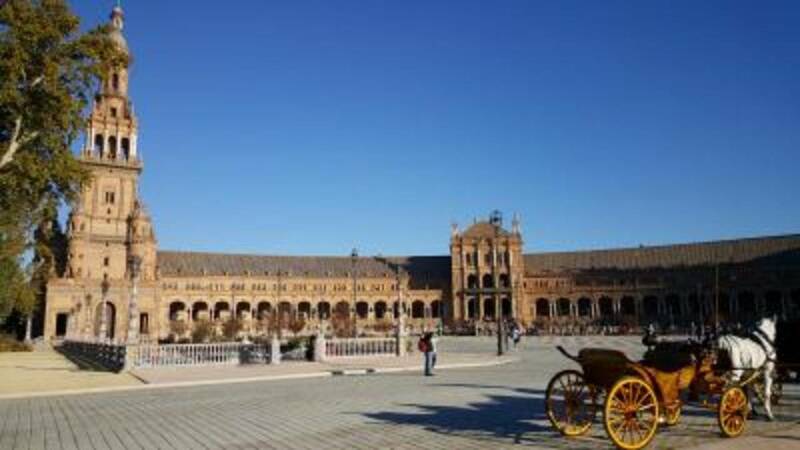 Then we run in the Old Town, along the monuments, and end on the beautiful Plaza de Espana. Thank your urbirun for the tour. 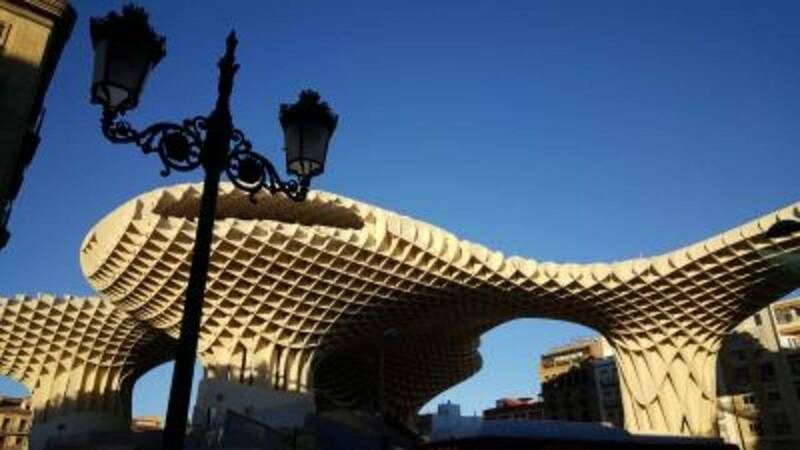 Nice visit of Sevilla, on the quays, in the Triana, Macarana neighborhoods, and in the city center.